A new Honor device has just been leaked over the Chinese microblogging site Weibo. 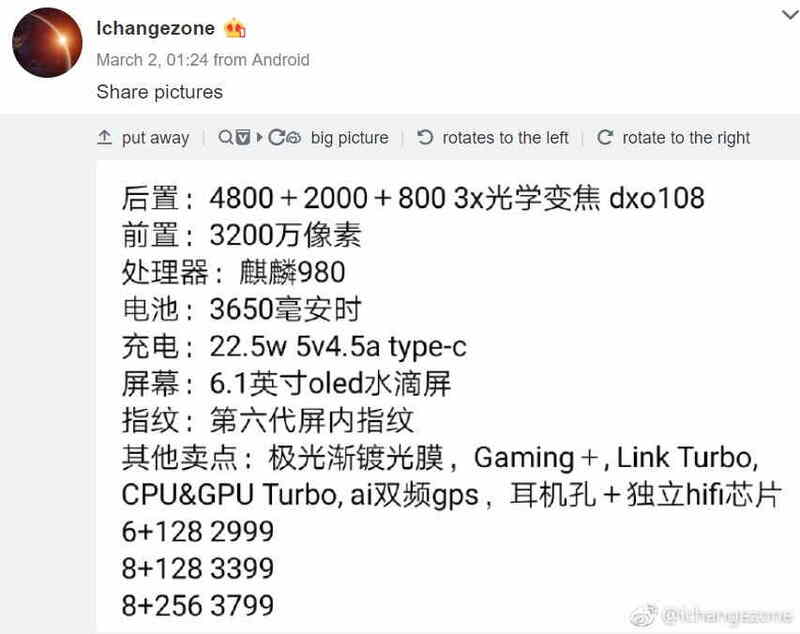 A tipster on the Chineses social media today shared a photo of the upcoming Honor 20. The image he shared shows us the Honor 20 from its back. 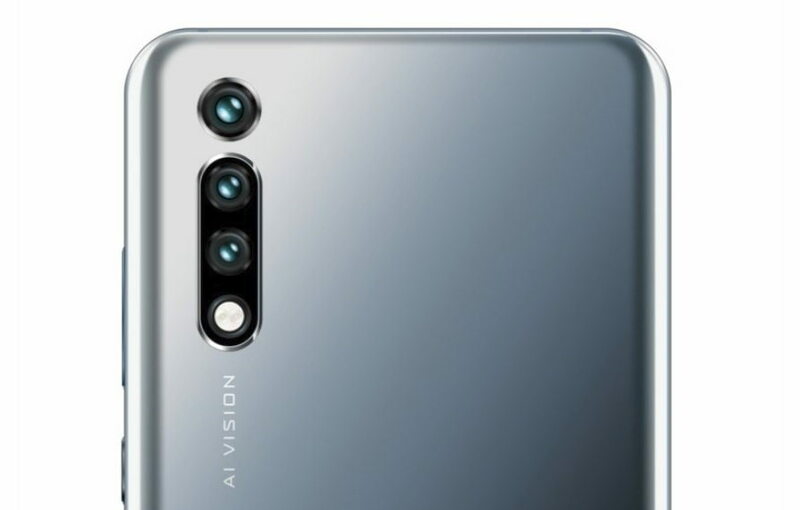 The phone appears to have a gradient back panel with a triple rear camera setup with AI vision. Alongside the photo, the tipster also shared the full specifications and pricing details of the Honor 20. Since we haven’t heard anything concrete from the company we can’t confirm the leak details as yet. The tipster revealed that the upcoming Honor 20 will be powered by a Kirin 980 SoC, an in-display fingerprint scanner, and a 3,650mAh battery. The Honor 20 will sport a triple rear camera setup including a 48-megapixel sensor. Up front, there will be a 32-megapixel sensor. The camera is also said to support 3X optical zoom. He also shared that, the phone will feature a 6.1-inch display with a waterdrop-style notch and an in-display fingerprint sensor. The tipster also suggested that the Honor 20 will come in three variants priced at CNY 2,999 (roughly Rs. 31,700) for the 6GB RAM + 128GB storage variant, CNY 3,399 (roughly Rs. 35,900) for the 8GB RAM + 128GB storage, and CNY 3,799 (roughly Rs. 40,200) for the 8GB RAM + 256GB storage option.